Looking for something besides another boring beach vacation for your first college spring break? 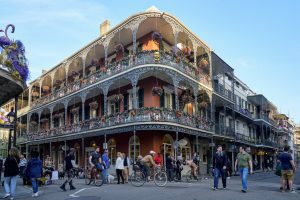 For students looking for a mix of traditionally tropical and cultural fun, New Orleans, Louisiana is a perfect vacation spot. With delicious food, incredible night life, and beautiful scenery, this break will be one to brag about when you get back home. For those yearning to visit metropolitan Europe, the Bourbon Street and the French Quarter are excellent locations to walk, shop, and more. 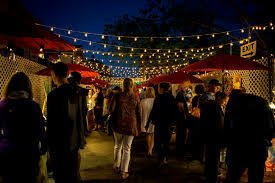 This area is a great place to find a classic creole dish, like crawfish, cajun cuisine, or a shrimp po-boy. New Orleans is notoriously home to Mardi Gras, the celebration However, there is still fun to be had the rest of the year by experiencing the music made famous in the area and visiting famous jazz clubs like Preservation Hall or Pat O’Briens dueling piano bar! There are also plenty of ways to take advantage of the warm southern weather. Some choose to take a walking tour of the Garden District or a famous graveyard, while others will rent a kayak and paddle through the Bayou St. John. For more daring travelers, a swamp tour is a great way to view local wildlife. 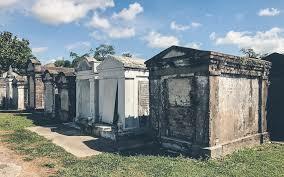 Visit New Orleans to encounter a completely new culture, try interesting foods, and enjoy the natural area, all without completely emptying your savings account. The Drinking Age is 21… in the states. Best Memory for Freshmen in Spring Break is Painting by yourself!